In the Transformers, Optimus Prime is the leader of the autobots, a faction of transforming robots from the planet Cybertron. Changing voice to Optimus Prime will be the great way to have fun by talking like Optimus Prime for chatting in-game or calling via voice chat. Now, nickvoice.com will guide you to do it step-by-step. Is it REALLY Optimus Prime in below sample voice? Of course it is. We're going hear and make your voice sound like it. Step 1/2: Download AV Voice Changer Software Diamond then follow instruction to install. 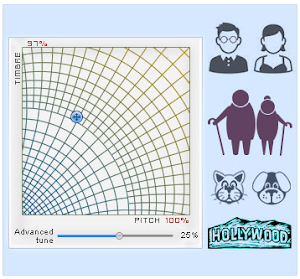 Move the pointer (2) on the Pitch-Timbre graph to change the basic characteristics of voice as long as your voice sound like Optimus most (Say to test every pointer changed). For me, Pitch is 65% and Timbre is 79% and Advanced tune = 50% make me sound like Optimus Prime. The extract number belong to your original voice. Advanced step: Enhance the output voice to get the best of Optimus Prime voice. The best of Optimus Prime voice in your hand. 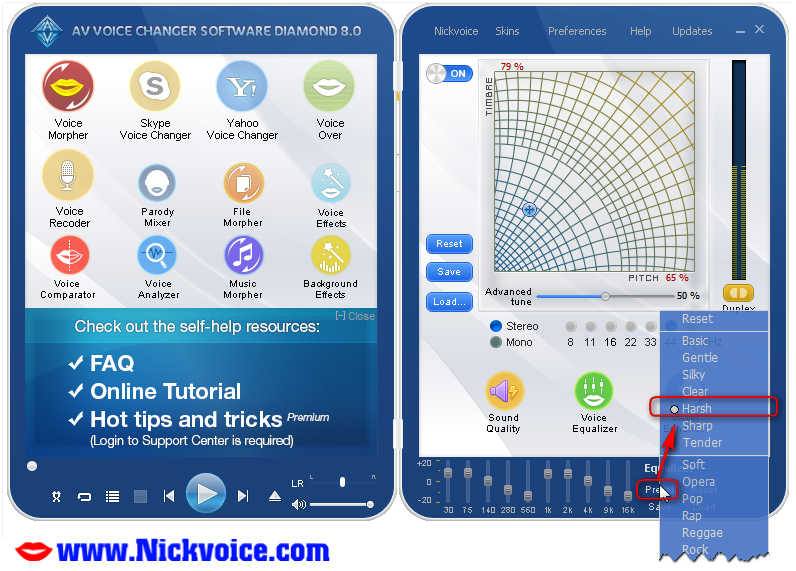 AV Voice Changer Software Diamond is voice mastering program lets you easily change timbre and pitch, adjust age and gender to match any voice you like. Its brilliant Smartphone-like interface, huge "nickvoice" library and advanced voice modifying modules will help you create natural voices effortlessly. The program supports most audio formats and is compatible with most IM, VoIP clients, in-game chat systems, and media players. 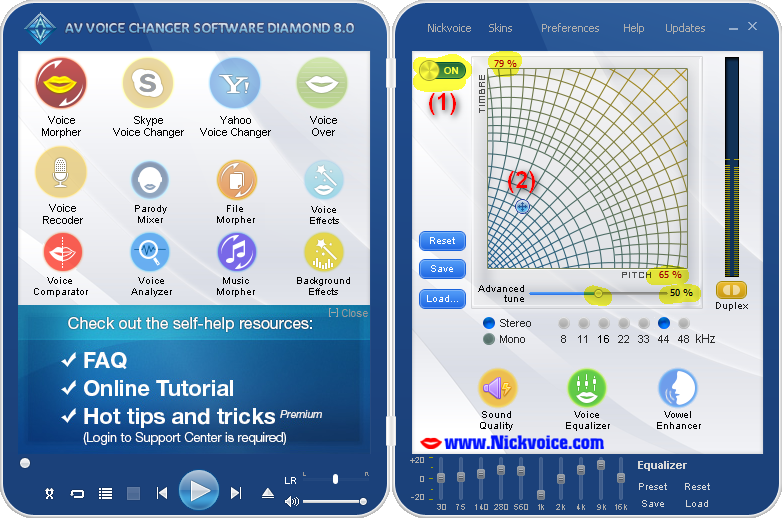 Listed bellow is tutorial for using AV Voice Changer Software Diamond. Click to read more.